Dr. Khouri develops treatment of arthritis of the thumb with fat transfer. 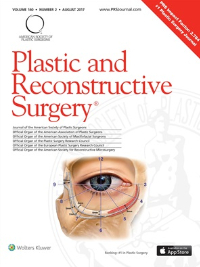 His findings have been published in the August 2017, Plastic and Reconstructive Surgery journal. Read our own clinical experience over the past 5 years with over 100 cases. There is no cure for Osteoarthritis but symptoms of Osteoarthritis can be reduced through over the counter drugs such as Tylenol. Your doctor may provide you with additional medication if over the counter drugs fail to reduce your symptoms. Your doctor may recommend nonsteroidal anti-inflammatory drugs that help with swelling and pain. When medication is not enough, injections might be appropriate. The injections contain a special anesthetic that can relieve pain from weeks to months. Due to its strong properties, the injections can only be administered a few times a year. If too much is administered it could result in lightening of the skin and can weaken the ligaments in the hands. The injections can also lead to increase risk of infection. Therapy should be used in combination with drugs to achieve the best possible outcome. Physical therapist are knowledgeable in treating Osteoarthritis, they can setup a regiment that can help you deal with your condition. Massage therapy can also provide some much needed relief to joints and fingers. Make sure to use a licensed massage therapist. In cases where Osteoarthritis is too severe, surgery may be needed. Osteotomy involves aligning the bones to relieve stress on the joint or bone. Arthroscopic surgery can trim damaged or torn cartilage. Arthritis is a disorder that causes inflammation of the joints. Joints are where two bones meet and connect, the cartilage between them allows for the bones to slide smoothly and painlessly. When a patient suffers from Arthritis, they are suffering from the breakdown of cartilage in joints of the hands. When cartilage is absent in the joints, the bones are forced to rub against one another. The loss of cartilage results in inflammation of the fingers causing stiffness and pain. There are a number of factors that can result in Osteoarthritis. Physically demanding jobs also play a major role in developing arthritis. Studies show that jobs in construction, and manufacturing require repetitive and hazardous activity with hands. When people age, it is natural to lose cartilage. People are more likely to develop arthritis later in life. It is possible patients can inherit arthritis, there are certain genes that might make an individual more prone to the disease than others however It is unknown how much genetics can contribute to arthritis. Obesity has become a serious problem in the U.S and has resulted in the accelerated progression in arthritis. Excess weight puts unnecessary pressure on joints and sharply increases one’s chances of developing arthritis. Even a slight change in weight can result in stronger pain in joints. Fingers may form nodes called Heberden’s node. The nodes are round and boney, they appear very swollen. Heberden’s nodes are caused directly by osteoarthritis due to the consistent trauma the bones must endure when joints lack cartalidge. The swollen boney outgrowths appear at the end of the finger’s or toes. Bouchard’snode is very similar to Heberden’s node but are located in the middle of joints in the finger’s or toes. The Bouchard’s node is less common than Heberden’s node. They are believed to be caused by osteophytes. Symptoms of osteoarthritis also include stiffness in the hands, swelling, chronic pain, difficulty grasping objects. Pain becomes more noticeable when doing mundane or repetitive tasks. Opening jars or cans become much more difficult and painful. Pain in hands causes you to wake up at night. Less strength overall in your hands and limiting range in motion. An x-ray exam of the joints can indicate a presence of osteoarthritis. X-ray exams can be used to evaluate loss of cartilage, narrowing of joint spaces and bone spurs. Bone spurs are the formation of bone over joints when a patient suffers from the effects osteoarthritis. Arthrocentesis is a needle syringe that extracts samples of joint fluids for analysis. The procedure is done at the doctor’s office with local anesthetic. The use of Arthrocentesis is not only diagnostic but also therapeutic. The extraction of joint fluid provides temporary relief for patients. once the joint fluid is extracted it is then sent to a lab for examination. Normal joint fluid appears clear or light yellow in nature, if the joint fluid is cloudy or bloody that may indicate an abnormality within the joint due to inflammation and or infection. This also leads to an unusual presence of white blood cells, a natural response from the body to fight off infection. This can be a sign of inflammatory arthritis gout or Pseudogout. Arthroscopy is surgical technique that involves inserting a tube like camera into the joint for precise diagnoses. It is the final stage of examination.